Two appeals courts already had held that juries, and not legislators, should decide how much compensation injured people are entitled to receive, and now the state Supreme Court has agreed. In 2007, Susan Kalitan went to North Broward Hospital District for outpatient carpal tunnel surgery in her wrist. She was placed under general anesthesia for the procedure and, unbeknownst to the anesthesiologist, one of the tubes perforated her esophagus. When Kalitan woke up in recovery she complained of pain in her chest and back. She was given medicine for the pain and discharged from the hospital. A neighbor came to check on Kalitan the following day and found her unresponsive. The neighbor took her to an emergency room where she was rushed into surgery. Kalitan woke up several weeks later in the intensive care unit after being in a drug-induced coma. She ultimately underwent additional surgeries and intensive therapy and continues to suffer physical pain and serious mental disorders because of this experience. 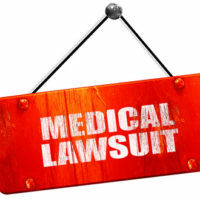 Kalitan filed a medical malpractice lawsuit. A jury found that she had suffered a catastrophic injury and awarded her $2 million for past pain and suffering and another $2 million for future pain and suffering. The trial court reduced the damages award, citing the cap contained in the Florida statute. The appeals court reinstated the jury award, ruling that the statutory cap was unconstitutional. The Supreme Court held in an earlier case that a statutory cap on noneconomic wrongful death damages was unconstitutional. The court applied the reasoning in that case to Kalitan’s lawsuit, holding that the statutory cap violates Kalitan’s right to equal protection under Florida law. Specifically, the court held that placing a cap on noneconomic damages without regard to the severity of the injury does not bear a rational relationship to the legislature’s interest in addressing the so-called medical malpractice crisis. This legal reasoning might seem complicated, but the only thing medical malpractice victims need to understand is that there is no longer a statutory cap on the noneconomic damages they are entitled to receive for their injuries. If you or a loved one has been injured by medical malpractice, you and your family may be entitled to compensation for your injuries, both economic and noneconomic. Contact a Jacksonville personal injury attorney at The Pendas Law Firm today for a free consultation. The Pendas Law Firm also represents clients in the Miami, Fort Lauderdale, Fort Myers, Tampa, Orlando, West Palm Beach, Daytona and Bradenton areas.